Nora Ezell was the fourth of ten children in a Mississippi family. When she was a child, her family moved to Alabama and settled in the Westfield community near Fairfield, in West Birmingham. Her father worked for Tennessee Coal and Iron Company. Ezell and her siblings attended the company schools, and while there she took her first and last sewing course. Her mother was an expert seamstress, and Ezell and her sisters learned to sew from her. Each daughter sewed her own clothes, and each learned to quilt by watching their mother and aunt. Though her mother was tremendously influential, Ezell also studied the work habits of her siblings. She said, "My oldest sister, Edna, taught me beauty in work. My second oldest sister, Etoil, taught me how to do domestic [work]. My third sister, Birdell, taught me to stand on my own feet. The fourth sister is me. My fifth sister, Bernice, taught me how to read and understand what I read. My sixth sister, Bessie, taught me independence. My only brother, the seventh child, Cecil, taught me to live whatever I did. My eighth sister, Waltzena, taught me courage. My ninth sister, Christine, taught me to live wherever I stayed. And last but not least, Jettie, the baby, taught me possession and cleanliness. So I gained something from each of them." When Ezell was in 11th grade, she left school to marry a man who promised she could go back to school and finish her education. But she got pregnant and had to stay at home to raise her daughter and never returned to school. Her husband decided to go to New York, leaving his family behind. 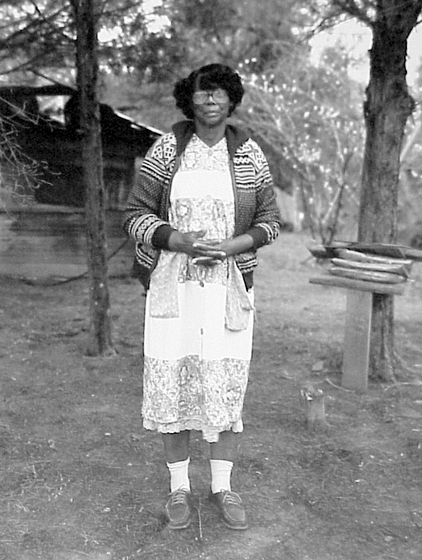 Ezell and her daughter moved in with an aunt in neighboring Pickens County, Alabama. 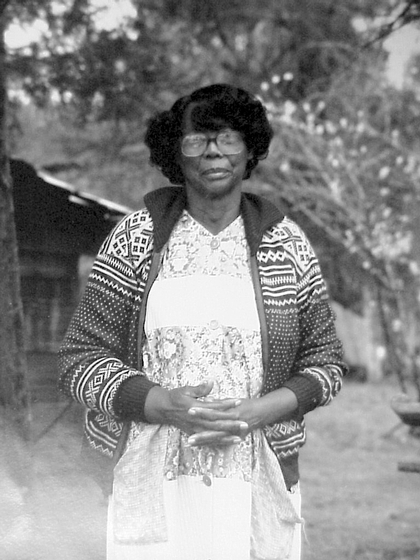 To earn money, Ezell was forced to pick cotton and work as a maid. 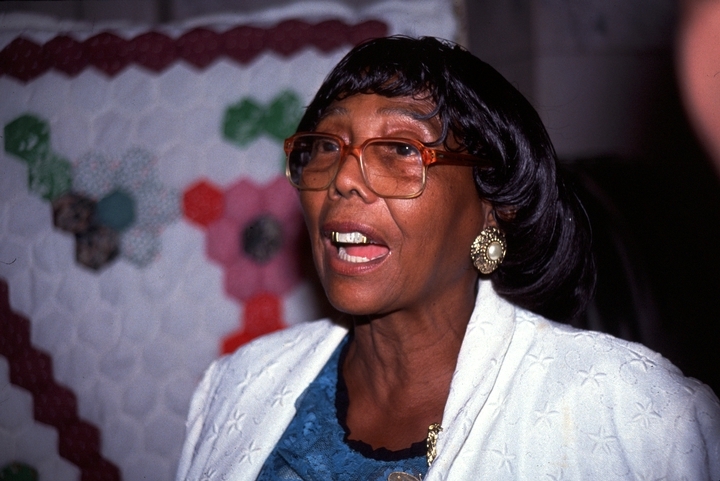 Years later, after her daughter was grown and her husband had died, Ezell remarried and moved to Paterson, New Jersey. While her husband was employed by the city of Paterson, Ezell took whatever factory work she could find, making draperies, upholstery, clothing and lingerie. She said, "I did it on purpose. I worked in every factory I could work in so I learned to do everything. I make all my own draperies, my spreads, I do my upholstery, I can do men's clothes, women's clothes, whatever I want to do." 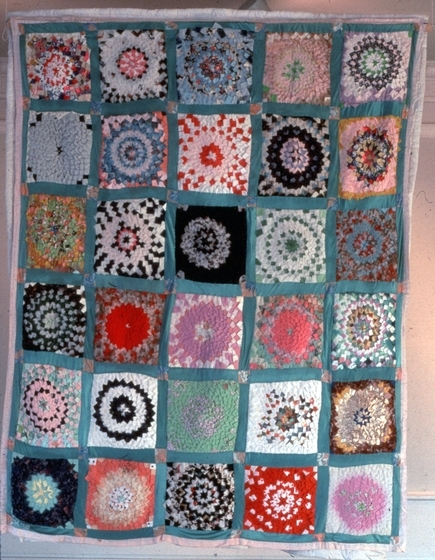 In her free time, Ezell continued making quilts, often using colorful scraps of fabric from other projects, and taught herself the techniques of crocheting, needlepoint, cross-stitching, petit point, crewel and hem-stitching. 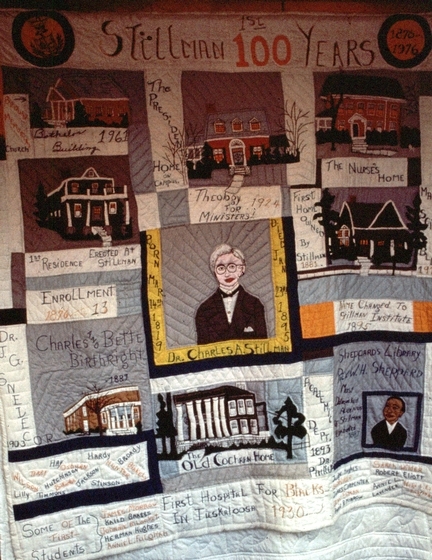 In 1982 Ezell and her daughter began another "narrative quilt" as a tribute to Dr. Martin Luther King. 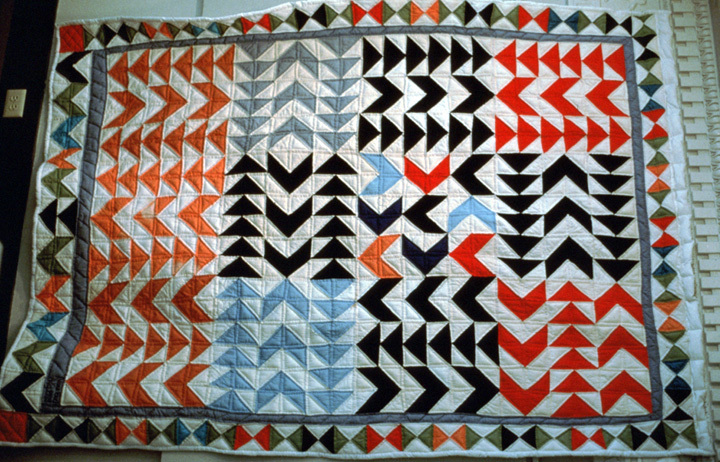 Sadly, Annie Ruth died in 1984, before the quilt was finished. 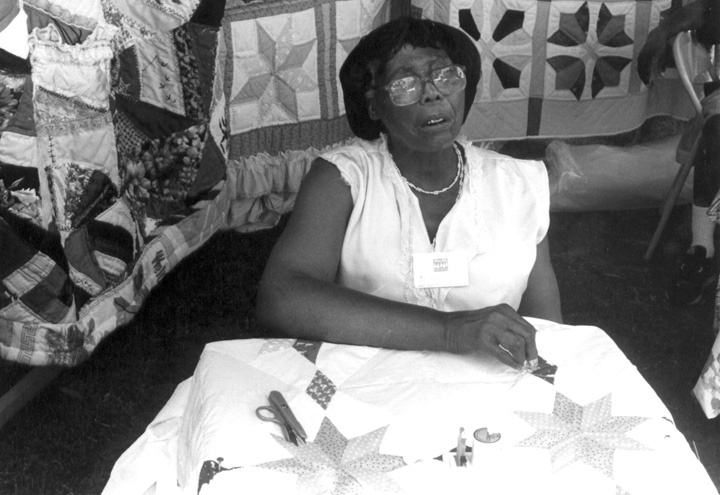 For a while, Ezell was too distraught to continue work on the quilt by herself. In time, she did resume work and spent more than two years to complete it. 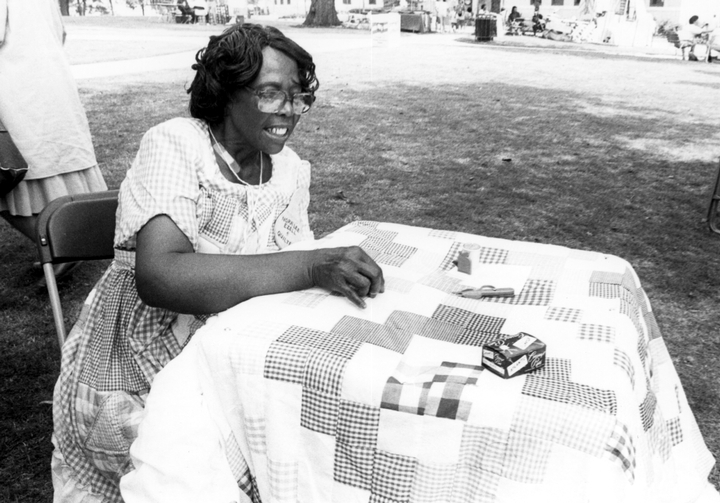 The King quilt portrayed from her own memory many of the scenes of the civil rights movement printed in the Green County Democrat on King's birthday in 1982, such as the Edmund Petus Bridge in Selma, Rosa Parks and the bus boycott. Ezell said, "I had plenty of events and information to work with; I could have made a quilt that would have been as long as Dexter Avenue, just telling that story." 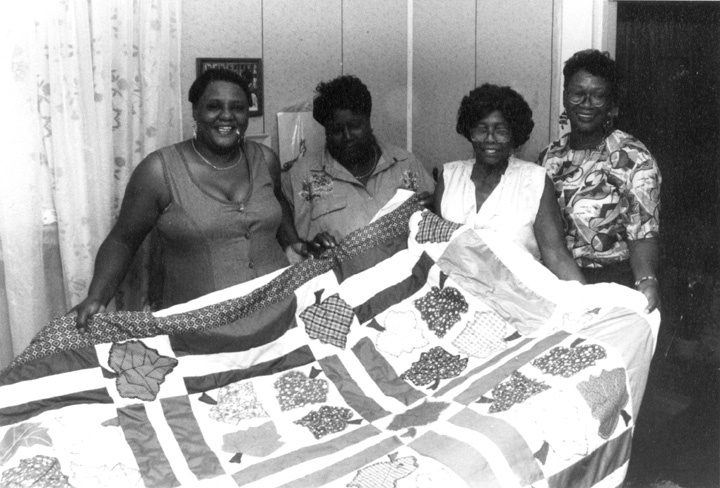 The exhibition of the King quilt in a Tuscaloosa crafts show introduced Ezell to a wider audience and led to a greaterinvolvement with quilting. Her work was featured in a show at Stillman College in 1986 and has been included in several exhibitions at the State Arts Council in Montgomery. 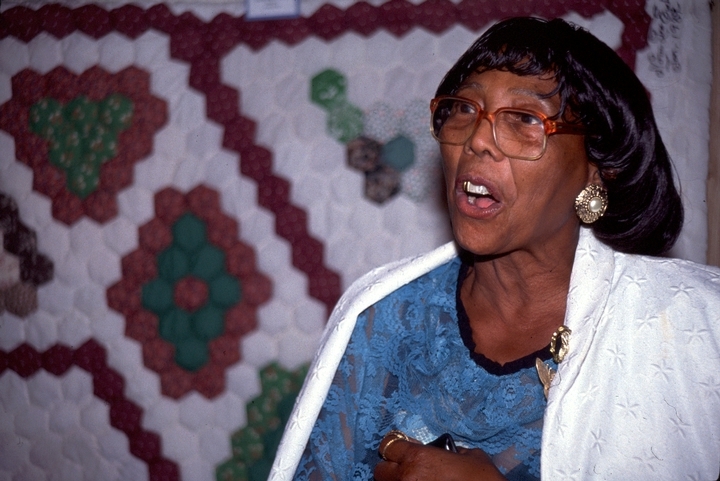 Her Martin Luther King quilt and the Stillman College Centennial quilt were included in the national touring exhibition "Stitching Memories: African American Story Quilts," organized by Williams College in Massachusetts. 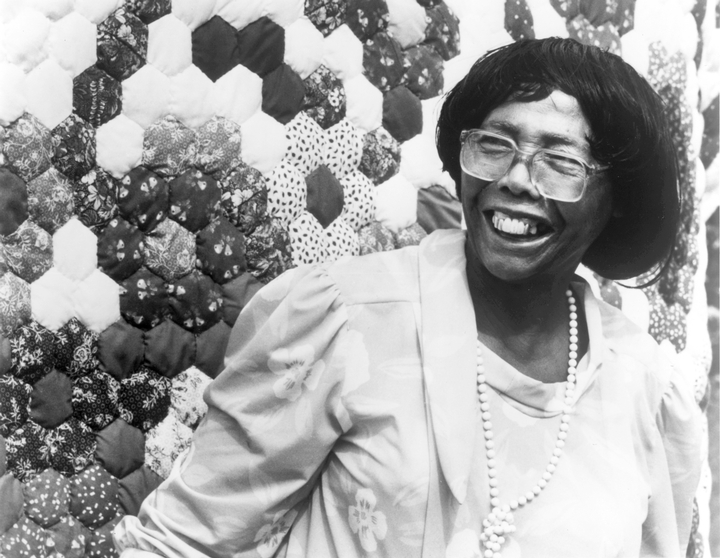 Members of the Birmingham Civil Rights Task Force saw Ezell's "Tribute to Dr. Martin Luther King" quilt and commissioned her to make a quilt for the new Civil Rights Institute planned for Birmingham. 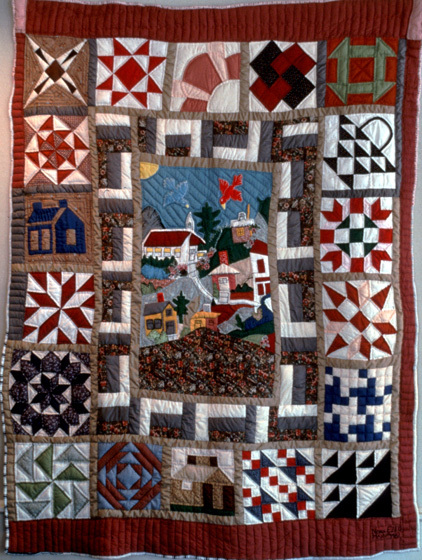 The quilt, completed in 1989, is titled "A Tribute to Civil Righters of Alabama." It features significant sites and people in the movement in Alabama. 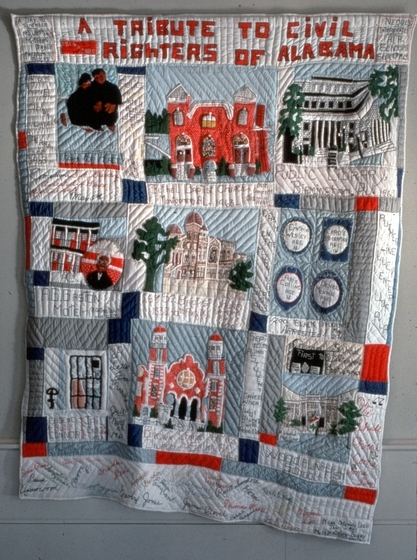 Churches dominate the design, with the 16th Street Baptist Church of Birmingham, where four black girls were killed during the height of the civil rights struggle, at the center of the quilt. 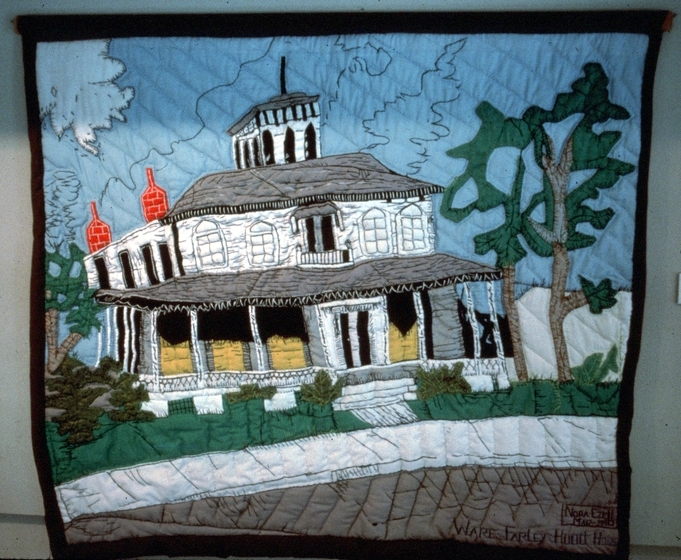 In the quilt's representation of Bethel Baptist Church she created "stained glass windows" with elaborate satin stitch embroidery and a façade of "brick" created with small stitches in white silk over red fabric. Each window took three hours to make. While a quilt was in progress, Ezell kept a journal. 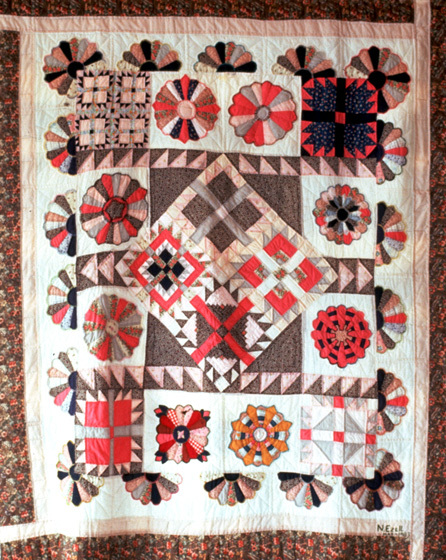 In the journal she recorded the number of hours spent on each quilt, the cost of materials and her thoughts while working on the quilt. These journals provide a valuable record of the quilt-making process. 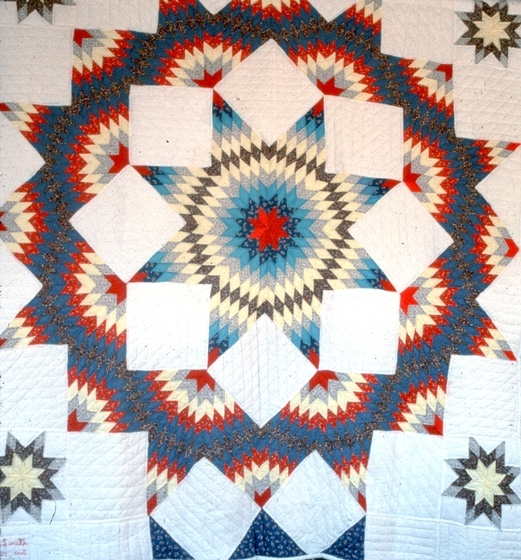 For example, the journal she kept while making the King quilt shows that she and her daughter worked a total of 580 hours and 55 minutes and used $107.54 worth of materials. Ezell was a master of embroidery and appliqué, the process of fastening one piece of fabric to a ground fabric with tiny stitches. She quilted each scene of her story freehand. She did not draw the scenes she envisioned onto fabric for cutting and stitching. Rather, her vision was realized as she sewed. About her source of inspiration for the scenes she quilts, she said, "I grab things off the top of my head and run with 'em. I can't tell you no more. I just do it." 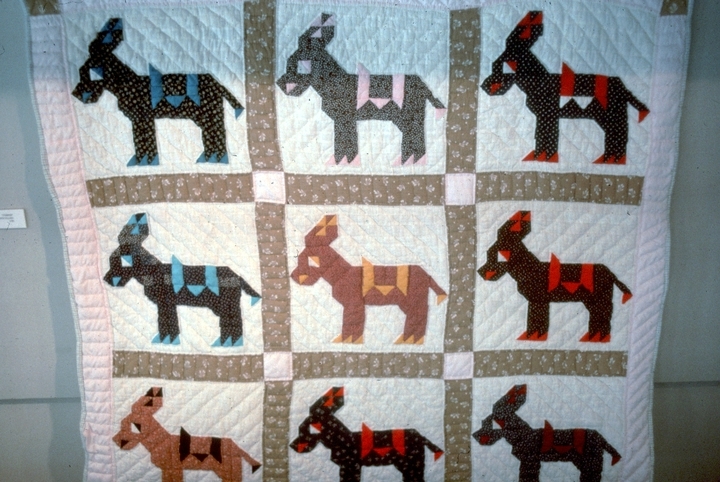 In addition to making narrative or story quilts, she also produced more traditional quilt patterns such as samplers and crazy quilts, as well as regional patterns such as the "Donkey Quilt." 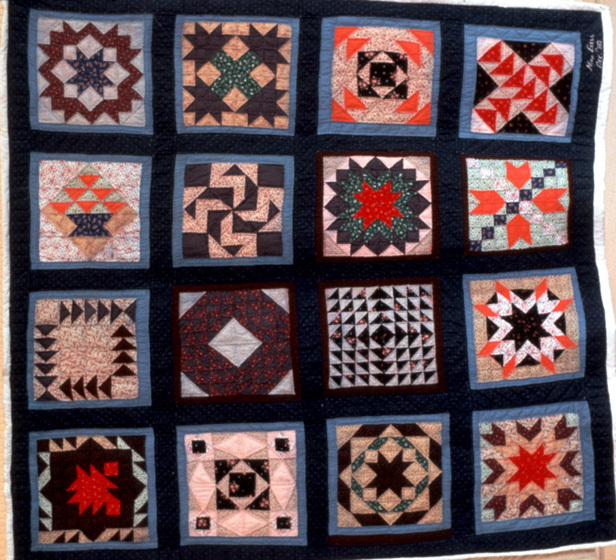 Her quilts, especially her story quilts, incorporate myriad fabrics. In the King quilt, for example, she used silk, satin, velvet and velveteen. 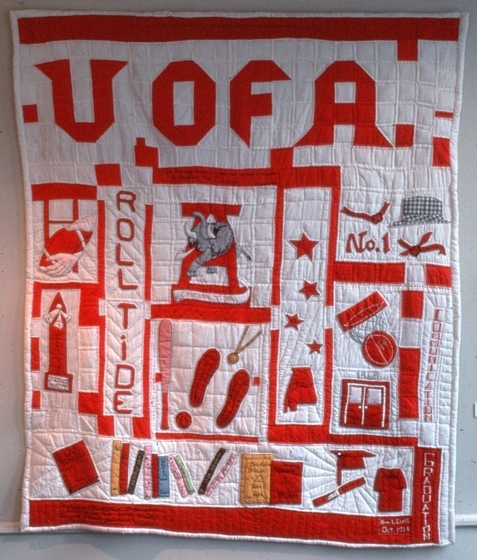 In the 1990s Ezell began to accept students, who, as she did, quilted "for the joy," she said, "I get out of doing it. I put a part of me in everything I do. I love taking nothing and making something out of it." Cotter, Holland. "Quilts That Cover a Span of Cultural History, Not Just Beds." New York Times (August 16, 1996) 145: C32. "For Art's Sake." The Nation (February 6, 1995) 260, 5: 151.